Leonardo is a global high-tech company and one of the key players in Aerospace, Defence and Security. Headquartered in Italy, Leonardo has about 47,000 employees. With its offices and industrial plants, the Company is present in 218 sites worldwide, with a significant industrial presence in four domestic markets (Italy, the UK, the U.S. and Poland) as well as strategic partnerships in the most important high potential international markets. Leonardo's structure is organised into seven Divisions. The Company also operates through subsidiaries and Joint Ventures. • DRS Technologies (which is based in the U.S. and focuses on the supply of products, services and integrated support to the Armed Forces as well as to intelligence agencies and defence companies). 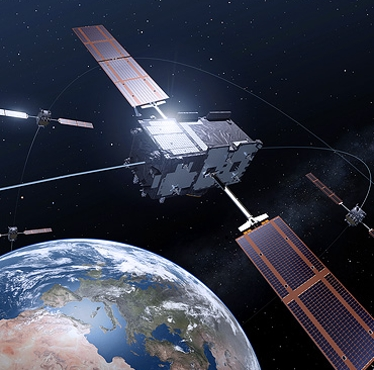 • Telespazio and Thales Alenia Space (joint ventures established with Thales respectively for satellite services and for the manufacture of satellites and orbiting infrastructure). • MBDA (joint venture established with BAE Systems and Airbus for missile systems). • ATR (equal partnership established with Airbus to build regional aircraft). Leonardo’s Helicopter Division performs research, design, development, production, customer support and marketing of the company’s extensive range of modern helicopters for commercial, public service, and security and defence applications. Current production covers all the main helicopter weight categories, from the 1.8 tonne single-engine to the 16 tonne three-engine. All the helicopters are dual commercial and military use platforms except some specific military platforms (NH90, Super Lynx 300, AW159 and AW101). The Division is able to manage the entire helicopter development and production cycle. The plants, concentrated in Italy, the United Kingdom, Poland and the United States, are fully integrated and are organised around ‘centres of exellence’ that support the final assembly lines. The final assembly lines are located in Vergiate and Tessera (Italy), in Yeovil (United Kingdom), in Świdnik (Poland) and in Philadelphia (United States). 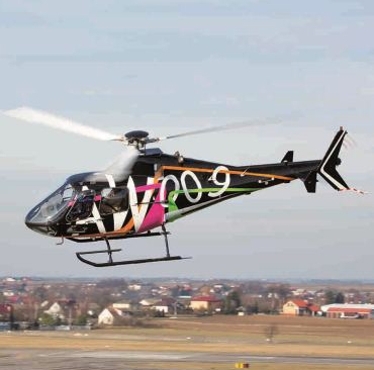 The Helicopter Division also includes the operations of Polish subsidiary PZL-Świdnik, acquired in 2010. 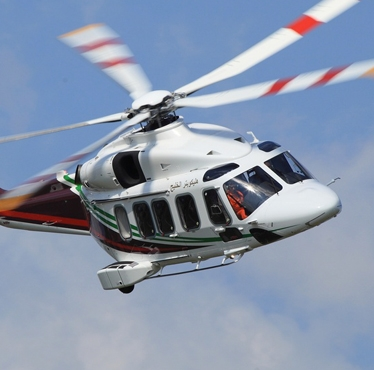 From 1 January 2016, the Helicopter Division has absorbed the activities of AgustaWestland. Leonardo’s Aircraft Division is engaged in the design, development, production, logistics support for trainer aircraft, and the relevant integrated systems for crew (air and ground operators) training, military and tactical transport aircraft, special missions multi-role aircraft, regional twin-engine turboprop aircraft, unmanned systems and moreover the manufacturing of nacelles. 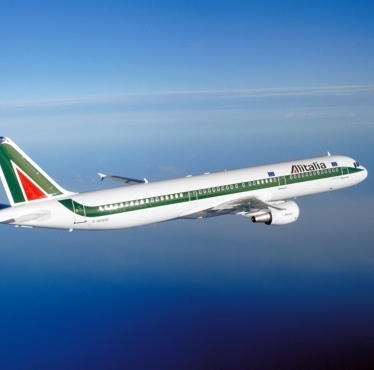 From 1 January 1 2016, the Aircraft Division has absorbed part of the activities of Alenia Aermacchi. Leonardo’s Aerostructures Division is a partner of major civil aircraft programmes in Europe and in North America. 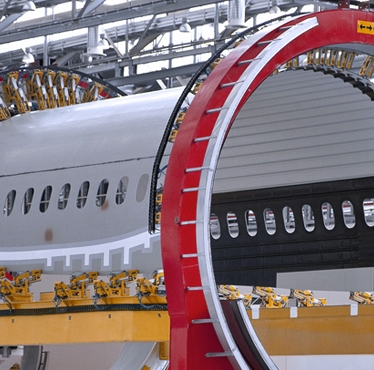 From the Boeing 787 made from composite materials, to the Airbus A380, and finally regional turboprop ATR, a world leader in its sector, the Division brings the ability to design, build, test and integrate structures and components to support any programme. The processing of large structural components in composite materials, represent a particular advanced capability of the Division. 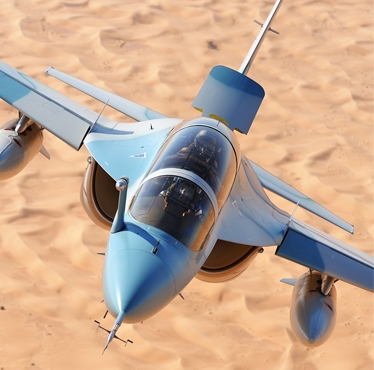 From 1 January 1 2016, the Aerostructures Division has absorbed part of the activities of Alenia Aermacchi. 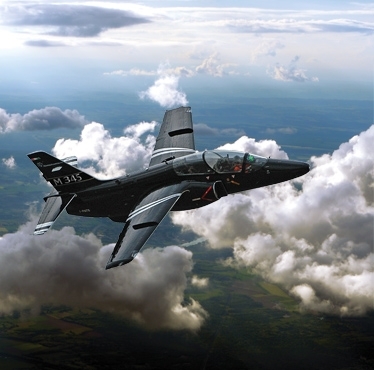 The Airborne & Space Systems Division designs, develops and produces a wide range of products and solutions for aircraft platforms that include integrated mission systems, airborne radars and sensors, electronic warfare systems, on-board avionics, aerial target systems and simulation systems. The Division also develops and produces Remotely Piloted Aircraft Systems (RPAS) which are also offered through full life-cycle service contracts. The Division's offer is completed by space systems that, in addition to the sensors and mission payloads, include advanced robotic systems. The Division provides the customer with solutions for reconnaissance, surveillance, target acquisition and recognition ISTAR (Intelligence, Surveillance, Target Acquisition and Reconnaissance), based on integrated and agnostic architectures, i.e., capable of operating on any platform and with any on-board equipment to ensure a constant situational awareness at the tactical level and interoperability with any other operational environment. From 1 January 2016, the Airborne & Space Systems Division has absorbed part of the activities of Selex ES. 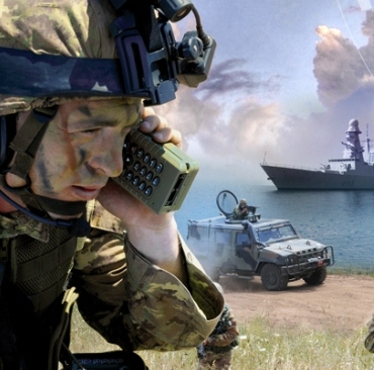 The Land & Naval Defence Electronics Division offers all the necessary expertise to guarantee land and naval Armed Forces with a qualified and fast information superiority, situational awareness, command and control capability, weapon systems management and network communications. The Division boasts more than 50 years of experience in systems integration, digital architectures, combat management systems and sensors, and communications. These capabilities allow the design and manufacturing of flexible, modular and scalable systems that meet any operational requirement on board vessels and vehicles and in the sector of land and coastal surveillance fixed systems. In addition, the Division’s great experience in electro-optical fire control systems and infrared search and track (IRST) allows to meet the needs of surveillance for high precision and electromagnetic silencing, targets tracking and weapon management. The offer is complemented by integrated logistics support solutions that provide full training, including simulation of operating environment functions and after sales support service, aimed at ensuring a long life cycle for the products and maximisation of customer investment. 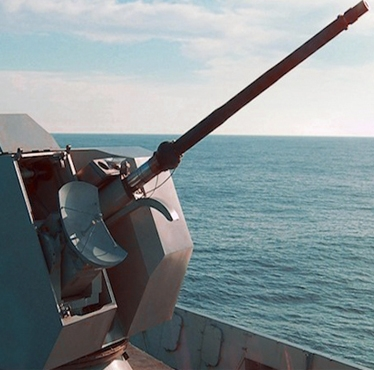 From 1 January 2016, the Land & Naval Defence Electronics Division has absorbed part of the activities of Selex ES. 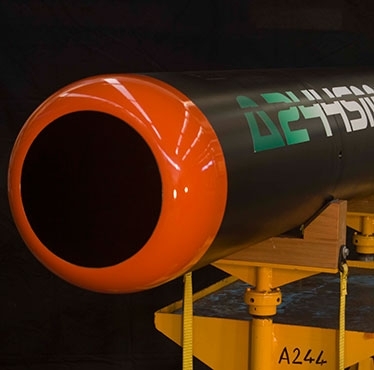 The Defence Systems Division's products are the heirs of a 100-year old legacy of historic Italian factories that still today design, develop and produce artillery, weapons and torpedoes. 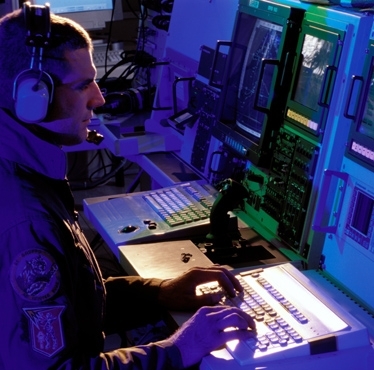 The continuous technological evolution that the Division has consistently applied to these systems over the years, allows Leonardo to offer a highly innovative, technologically advanced portfolio of products and systems able to respond effectively to the new operational land, naval and underwater warfare scenarios. From 1 January 1 2016, the Defence Systems Division has absorbed the activities of OTO Melara and WASS. The Security & Information Systems Division is a world leader in safety-through-technology, providing tailored solutions for customers in public administration, public safety and security, critical infrastructure, services, transport, large companies, post and logistics. With experience in information technology, communications, automation and physical and digital security, the Division generates synergies by joining its expertise, processes and technology across these areas. 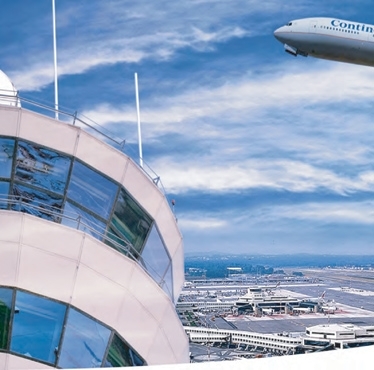 Competitive solutions and services, including integrated systems, are available to support territory security and control, for public and private critical infrastructure protection and for the security of major events. The offer also includes integrated networks and secure communications that enable reliable and efficient information management. These are ideally suited for public safety and security organisations, emergency services, civil protection agencies and transport infrastructures. Finally, with a significant track-record in providing advanced systems and control centres for the management and control of air and maritime traffic, the Division is a leader in the field. From 1 January 2016, the Security & Information Systems Division has absorbed part of the activities of Selex ES. The objective of this call for tenders is to obtain a complete “turn-key” Sealed Housing for Evaporative Determination (SHED) as prescribed by the Regulation (EU) 2018/1832.